Happy hump day, dear readers! Now that the day is almost over, it's even closer to the weekend and a new year yet! I've been trying to sit down to get this post written all day, and I only now seem to have a few minutes of quiet time to myself. I'm just going to keep the chitchat short and dive right on in! 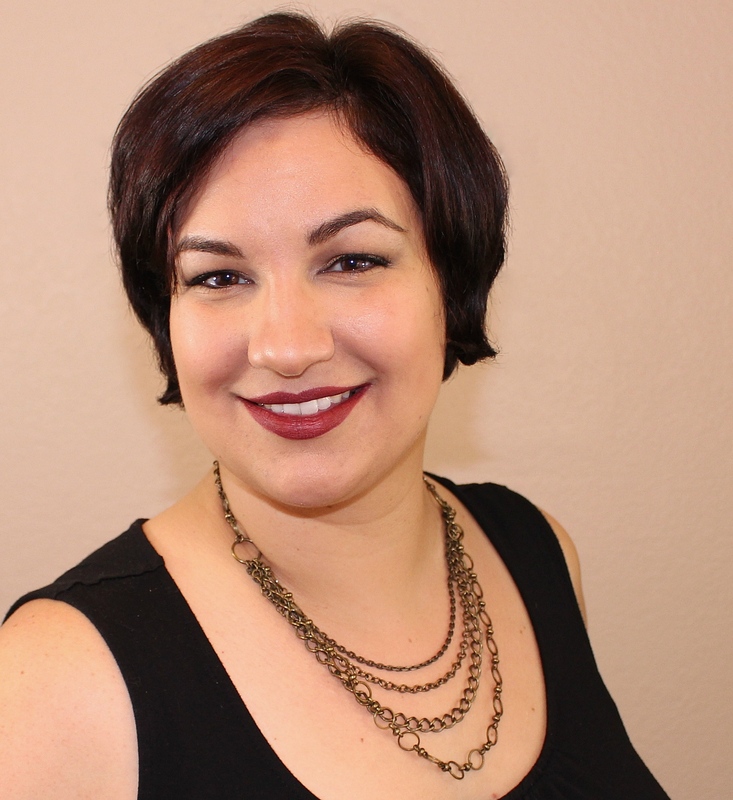 As many of you already know, I love the indie polish brand Literary Lacquers, created by the equally fabulous Amy Milder. Amy is a dear friend of mine, and I was ecstatic to see she was following in her previous years' footsteps and created a new gift with purchase shade this holiday season. This year's colour is names Visions of Sugarplums, and you'll definitely be loving this beauty on your fingertips! Visions of Sugarplums is a deep blurple glitter holographic polish with a smattering of tiny pink stars. I have is shown here with two coats plus top coat. I really love the Literary Lacquers brand because not only are the polish colours gorgeous, the formulas are always on point. It should come as no surprise that this applied beautifully for me. The stars are present for a nice little touch, and I ended up with a star for every one to two dips of the brush in my bottle. They're definitely present on the nail, but they aren't meant to be the "star" of the show, pun intended. 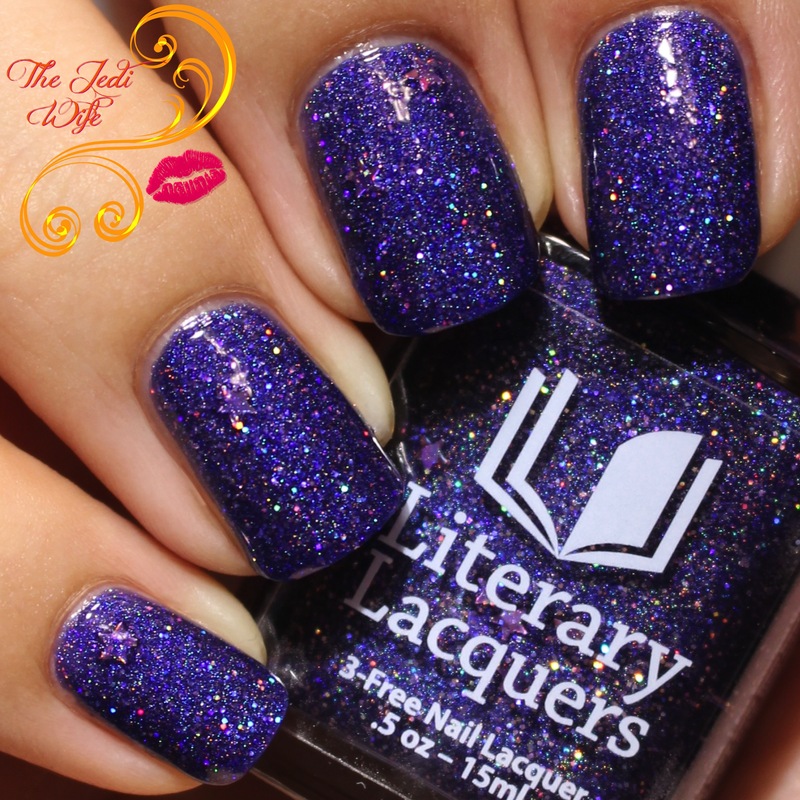 As I mentioned previously, this beauty is a gift with purchase from the Literary Lacquers shop located here. For every purchase of $24, you will receive a mini-sized bottle of this beauty, and a purchase of $48 or more will come with a full-sized bottle. The gift with purchase is only available for a limited time, so get your orders in this week if you want to get ahold of this beauty! This will only be available until the store's temporary closing January 2nd. Oh, and you can also let your dollar go a little further by saving 20% with discount code HOLIDAY2016! There are so many stunning shades in the shop to choose from, and you will not be disappointed! Speaking of the shop's temporary closing, this is as good a time as any to mention the new shop model Literary Lacquers will be using for the time being. When the shop reopens, it will only be open for the first weekend of every month with a limited offering of colours available for preorder rather than the full Literary Lacquers lineup. Each month will yield one new shade (*hint hint* February's new release just might have something to do with your favorite blogger's 5th blogiversary coming up) and five or six previously released core shades. To keep track of shop opening dates and what will be available, please sign up for the new Literary Lacquers newsletter here. You definitely don't want to miss out! I know I'm excited to see new shades coming out each month as well! 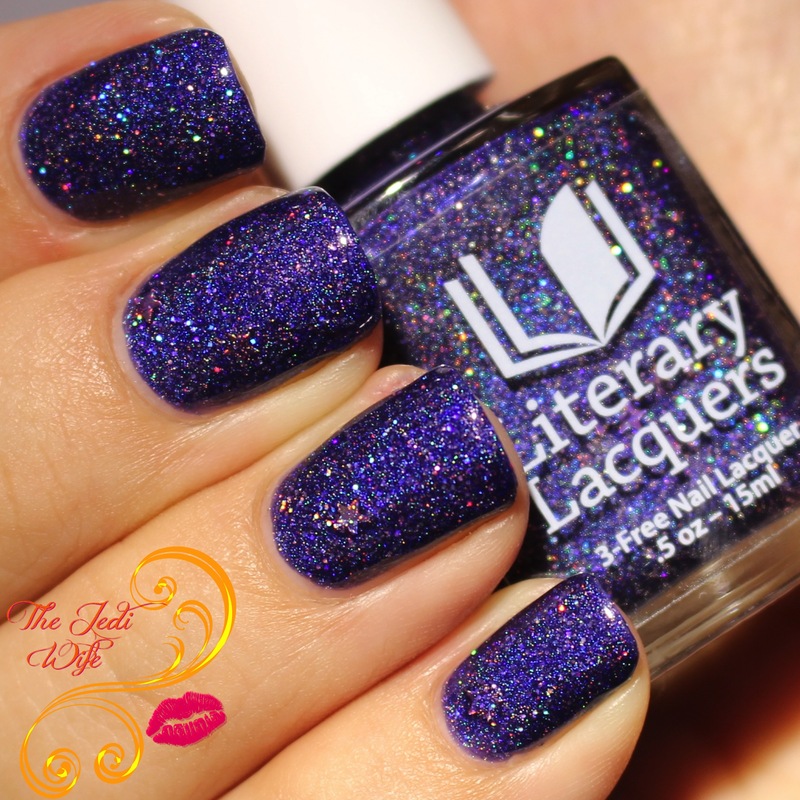 Do you have a favorite Literary Lacquers shade? If not, what polishes are you interested in? I'd love to hear from you! What a gorgeous purple! I love those little hidden stars. Gorgeous! I love blurple colors! Ahh yes. I love sparkly blurples. I still don't own anything from Lit Laq, but that coupon code is so tempting! This color is amazing! It's like it was made for you. Oh gosh, those tiny stars! This is totally stunning. That name is perfect for that pretty polish! This is so so fun! I didn't even notice the stars at first - I love how they sort of hide out. So pretty! What a wonderful shade. I love all that's going on in it. Wow! Those stars were a pleasant surprise!!! OMG! This is so beautiful! Will definitely be picking this up.